The Michelin Guide has announced that this year it will hold its Michelin Guide Street Food Festival Macau in the Studio City casino resort (pictured). The publisher issued a written statement on Tuesday saying the second annual festival will take place from September 29 to October 2 in the Macau Gourmet Walk in Studio City. The festival is being arranged by the Michelin Guide and Robert Parker Wine Advocate, with the support of Studio City operator Melco Resorts and Entertainment Ltd. The Michelin Guide statement says the Studio City event is the biggest festival of Asian street food in the world, gathering the best street-food stalls in the continent under one roof. The festival is free for all guests, who will be able to purchase dishes priced between MOP40 (US$4.95) and MOP60. Two of the food stalls confirmed for the festival have been awarded Michelin stars. One is the Liao Fan Hawker Chan Soya Sauce Chicken Rice of Singapore, which is run by Chan Hon Meng. The other is the Song of India, another Singaporean stall, run by Manjunath Mural. For the past two years Macau casino-resorts have been emphasising food and drink as attractions other than gaming, and this approach has paid off for some, according to commentary provided recently to GGRAsia. Among the casino operators investing in non-gaming activities is Wynn Macau, the host of Asia’s 50 Best Restaurant Awards this year and next. Macau casino operators have more broadly engaged in gastronomy-related marketing in response to the Macau government promoting Macau as a world-class destination for foodies. In October last year, Macau was named in the Creative Cities Network for gastronomy by the United Nations Educational, Scientific and Cultural Organization. The approach to expand the city’s offering to tourists and gamblers alike has been applauded by many, including the U.S.-based International Monetary Fund. 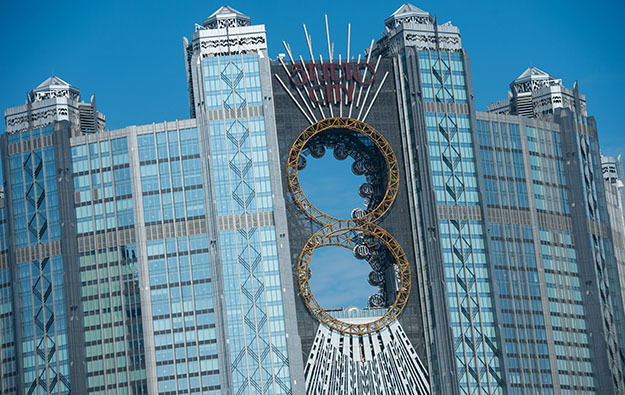 The organisation says it is supportive of the government’s push to diversify the local economy via more mass-market gaming and more non-gaming tourism products in Macau. “With respect to growth, the authorities’ five-year plan correctly identifies the importance of diversifying from VIP to mass-market gaming; from gaming to non-gaming tourism; and from tourism to financial services exports,” the head of an IMF delegation, Geoff Gottlieb, said in a 2016 press release.